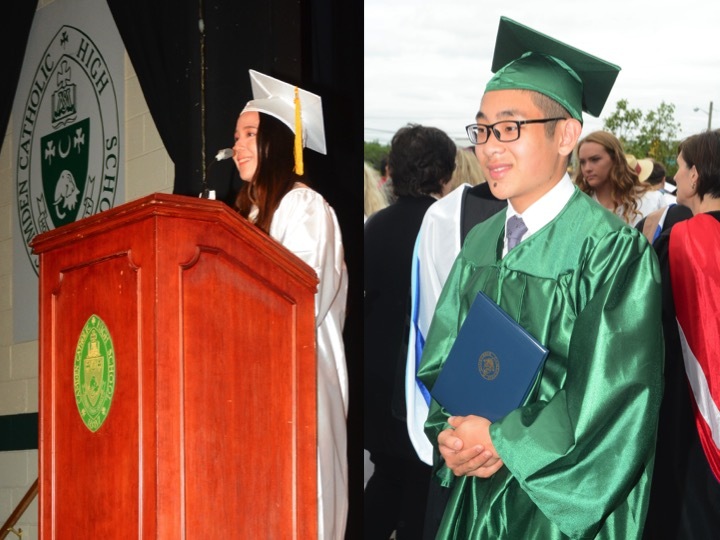 Camden Catholic High Schools International Program Graduated 20 Seniors in 2018! 18 students are continuing their education at 4 year colleges and universities in the United States. One student is returning to her home country to complete grade 13, and one is studying at a university in Korea. 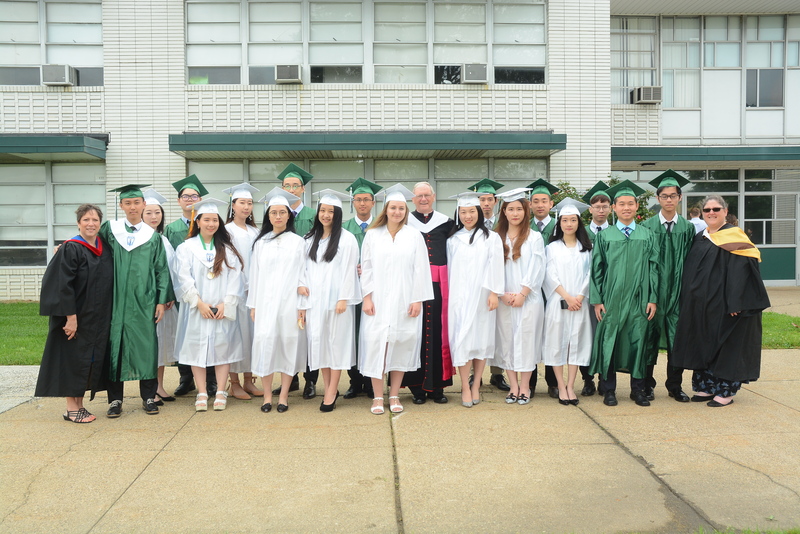 International students are a vital part of the Camden Catholic High School community. They participate in all aspects of the community’s life, from the classroom where they receive an excellent college preparatory education, to the stage where they act in our renowned musical and dramatic productions, to the sports field where they participate in a full range of interscholastic sports. Furthermore, they do this in a caring and disciplined environment where their individual worth and development are foremost in the minds of the school’s faculty, administration, and staff. 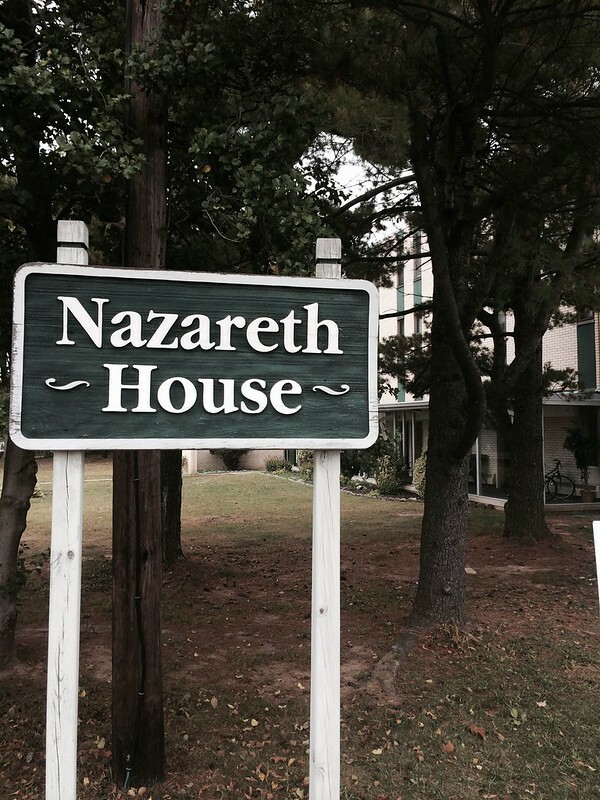 Click on the below image to view a slideshow of the Nazareth House International Student Dorm. The former convent on Camden Catholic’s campus has been converted to a dormitory for international students featuring a kitchen, dining room, recreation room, study hall and dorm rooms. The facility is overseen by a dean of international students, a faculty liason and hall directors who also assist our international students with their transition to life and high school in the United States. Nazareth House students hail from China, Mexico, Nigeria and Vietnam. Additional family-hosted students come from Brazil, Cambodia, Italy, Korea and Malaysia. 2018 Orientation begins August 21, 2018 for Nazareth House students and August 22, 2018 for family-hosted students. All international students are mentored by our Dean of International Students and guidance counselors, who have overall responsibility for ensuring that our international students’ time at Camden Catholic is as productive and enjoyable as possible. The Dean of International Students works individually with each student to select courses, review academic progress, facilitate participation in extracurricular activities, and review living arrangements. All new international students come to campus two weeks before the school opens to participate in an orientation program. During this time they meet other students from our community, receive an assessment of their English language ability, and take classes on how to succeed in an American classroom. Arrangements are made for banking, medical care and music lessons (if desired) among many other activities. For this school year, orientation will begin on August 20, 2018. Parents receive written reports from the students’ teachers approximately every ten weeks regarding their progress in the classroom. They also receive a written report from the Dean of International Students at the end of each semester summarizing the students’ experiences in and out of the classroom. Please contact Ms. Diane Crowell at 856-663-2247 ext. 111 or diane.crowell@camdencatholic.org for international tuition and fees. Applications for admission in September receive preferential treatment if they are received before April 15th although they are accepted until July 1st. Admissions decisions are made on a rolling basis and communicated within two weeks of the date the applicant’s file is completed. Transfer applications are accepted throughout the year. Students must begin at the start of upcoming semester. To apply each applicant must email Dean of International Students, Mrs. Diane Crowell: diane.crowell@camdencatholic.org. Please contact Ms. Diane Crowell, Dean of International Students by phone at 856-663-2247 x111 or by email at diane.crowell@camdencatholic.org with any questions.